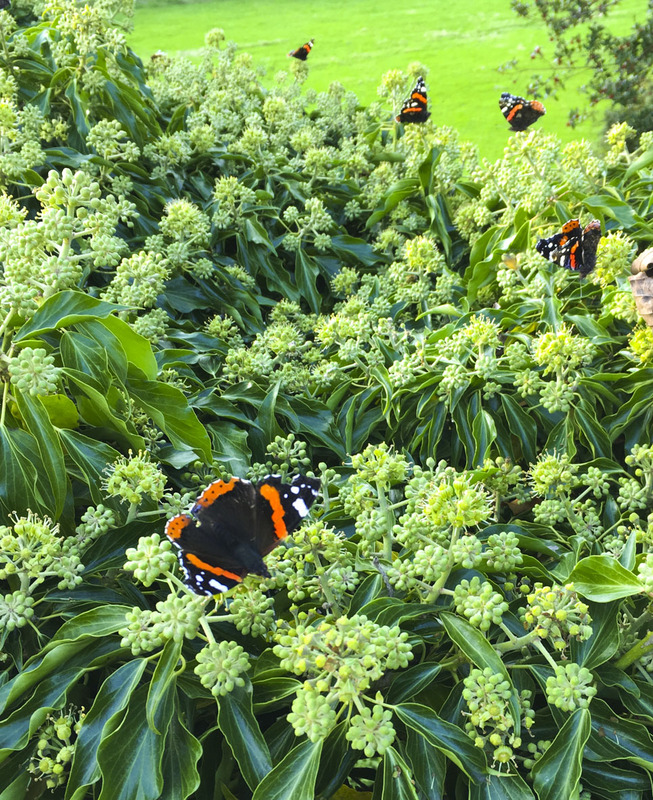 I arrived home the other afternoon to be met with a mass of insect life on the flowers of the ivy (the best thing you can plant for wildlife), but by far the most eye-catching were the red admirals. 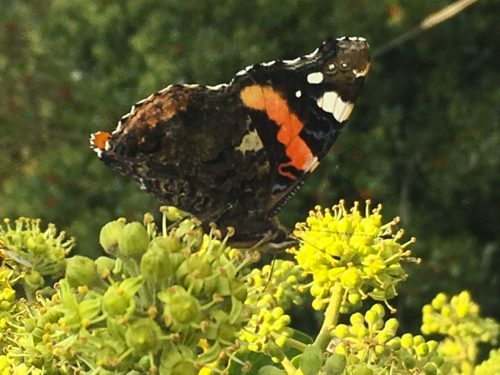 Its life history is interesting…in May and June it migrates north to us from northern Africa and southern Europe, then mates, laying eggs on nettles where the caterpillars feed until pupation. The chrysalis hatches in mid to late summer, hence the number around now, feeding on nectar. A few do hibernate successfully in sheds etc. (don’t confuse them with the more common small tortoiseshell butterfly) but most die off when the weather gets cold. So let’s make the most of them.